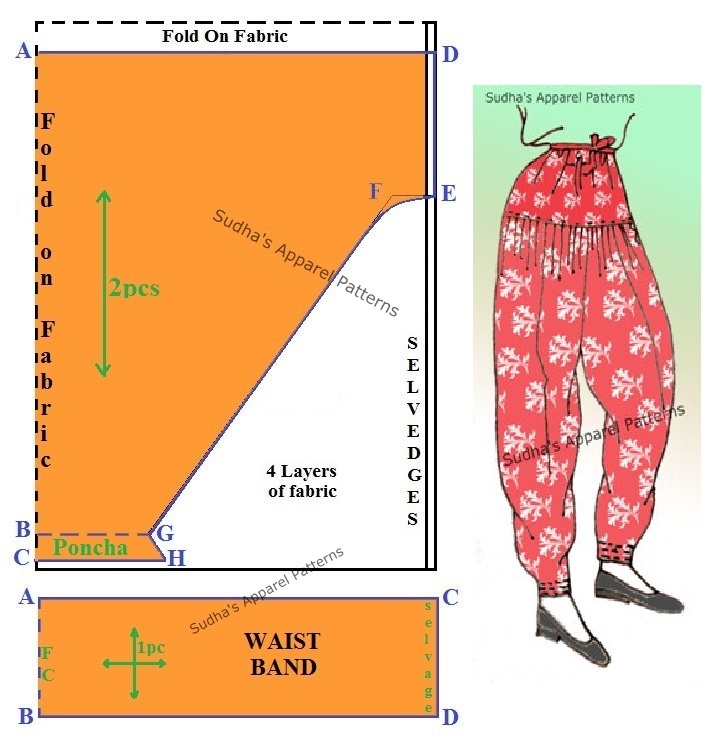 Salwaar is a leg wear which is usually combined with a Kameez/ Anarkali/Short Kurta. In this post, I have shown pattern making of the very basic Salwaar with waist band including seam allowance. This stepwise pattern is ideal to begin with, if you are a beginner or making a Salwaar for first time. How to make a simple Salwaar? E-F = Go inwards by 1 to 1.5"
2. If you are marking the pattern draft directly on fabric, then first straighten the fabric by slightly stretching it diagonally to align the warp & weft at right angle. 3. Iron the fabric always to make it crease free prior to marking / placing the draft over it. 4. However, if you are a beginner, prefer making the draft on paper first and then pin it to fabric.